You won't be able to miss Patarei - it's right in the middle of Tallinn's alternative lifestyle district. This massive baroque fortress is an odd fit in between brunch cafes and second hand shops, but that makes it all the more fascinating. You don't have to be a history buff to appreciate Patarei. The stories that go with this building, from swashbuckling sea raids during the Russian Empire to daring escapes in the Soviet Union, will make a buff of just about anybody. 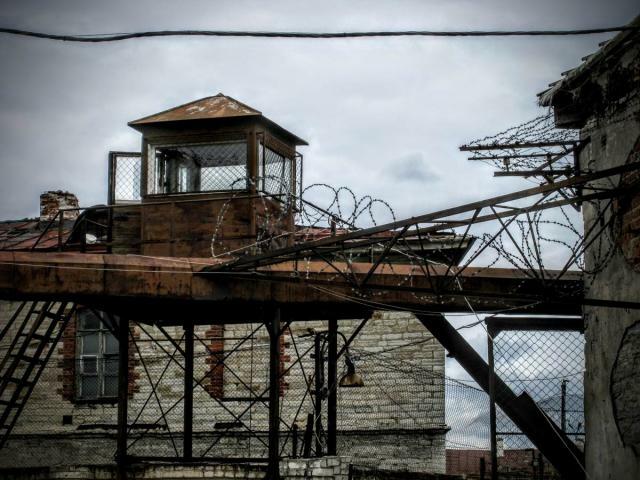 Guided tours are available but you can explore the prison on foot, too. Just don't visit with a friend who is faint of heart. Some of the stories that are attached to this prison can be pretty grim. The infamous 'Leningrad wing' was used to execute prisoners before independence. But Patarei isn't all doom and gloom, there is a lively beachside cafe attached to the main prison building, and some of the artwork that has been added after the prison was abandoned is as beautiful as anything you'll find in galleries or coffee shops. March to October. Patarei can get extremely cold during the winter months. Tallinn's old town is a great place to spend time and kick back, but with so many high quality restaurants and quality merchandise you'd be forgiven for forgetting how old it is. The tunnels under the old town will remind you. Built during the 17th century during a plague outbreak, they have been used by smugglers, jailers, locals fleeing air raids and punk rockers fleeing Soviet oppression. Every inch of these tunnels tells a story, and the tour guides are great at bringing them to life. Secret access panels installed during the Soviet era, that will take you to the heart of what was once a top secret military bunker. Anybody can walk around the streets of the old town, but once you've been underneath, you can say that you've truly seen its heart. 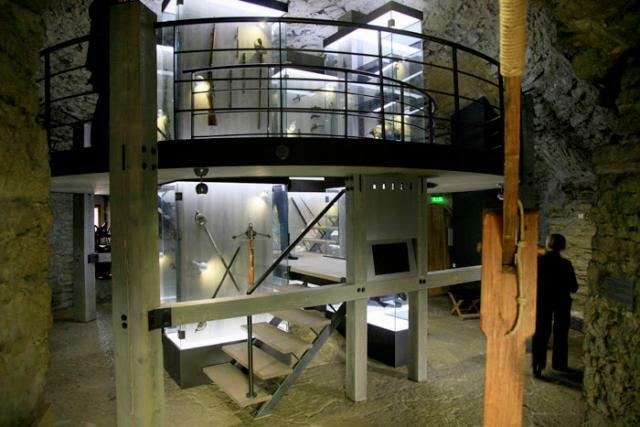 The tunnels aren't directly accessible for safety reasons - visitors must go through the town museum in the Kiek in der Kok tower. Any time except Monday, when the museum is closed. What could be better than rounding off your day with a mouth-watering home-cooked meal? 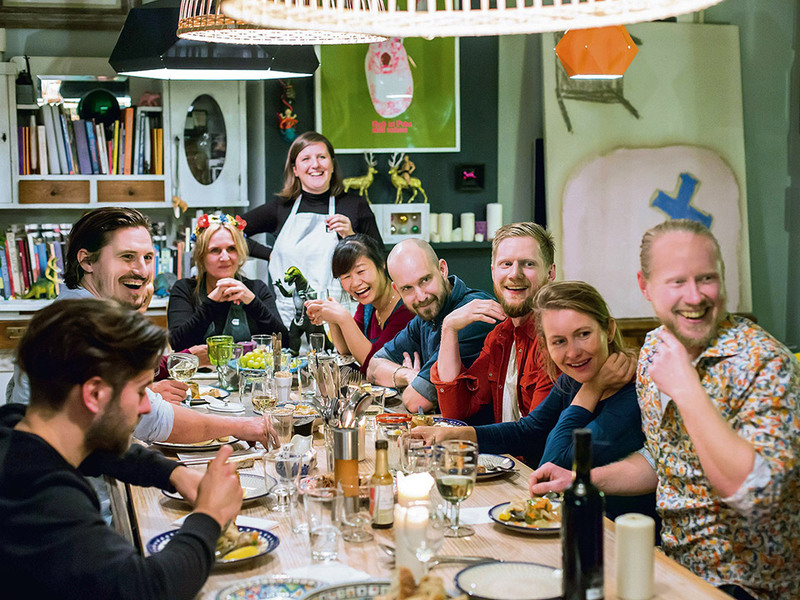 Eataway is an exciting new alternative to tourist-trap restaurants, giving you the chance to eat with a local cook at their home. The emphasis is on simple, freshly-made food made from locally sourced ingredients. Tallinn's home cooks offer meals almost every day of the week, and they're happy to serve up some hot tips on the best places to go and see alongside lunch, dinner or even breakfast. Eataway originally started in Poland, but it has been embraced in Estonia (and beyond!). If you really want to experience Estonian cuisine as it's enjoyed by normal Estonian people, there's no better way. Whenever you feel like it! 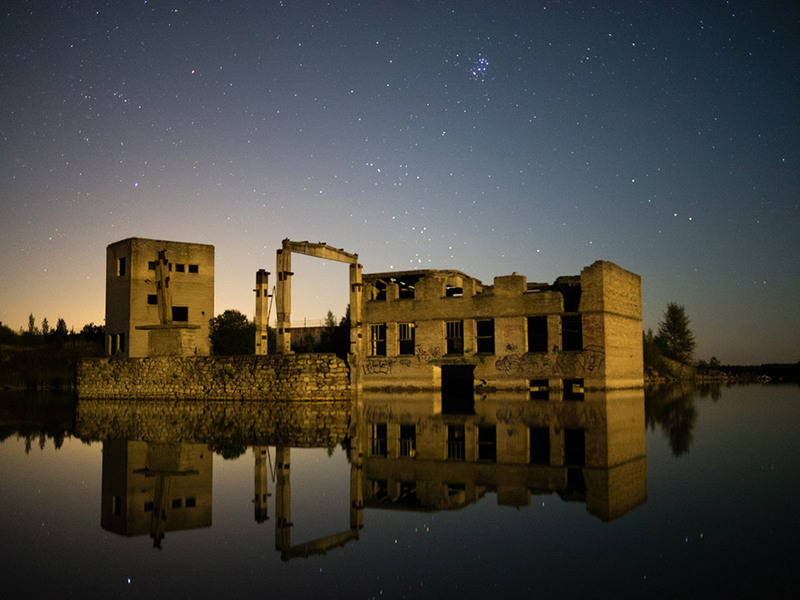 The Soviets left a dark mark on Estonia, and much of their architecture has been abandoned or repurposed. But few of the Soviet buildings are as fascinating as the structure in Rummu Quarry. Once again, this was once used by the Soviets to hold prisoners, who were forced to work in the quarry. But now freedom has come, the prison is empty, the quarry is flooded and the whole complex is a haunting but unique sight for lucky visitors. Situated half an hour outside Tallinn, Rummu's waters are crystal clear. You don't have to be a diver or even a swimmer to appreciate these one-of-a-kind ruins. You don't even need an eye for history or architecture, since the quarry's waters are great to simply relax by or paddle in. But there's nowhere like Rummu in the whole of Europe, appealing to urban explorers and beach goers alike. July or August, when the quarry's waters are refreshingly cool. Tallinn's TV tower is only slightly smaller than the Eiffel Tower and offers views that are just as sweeping. 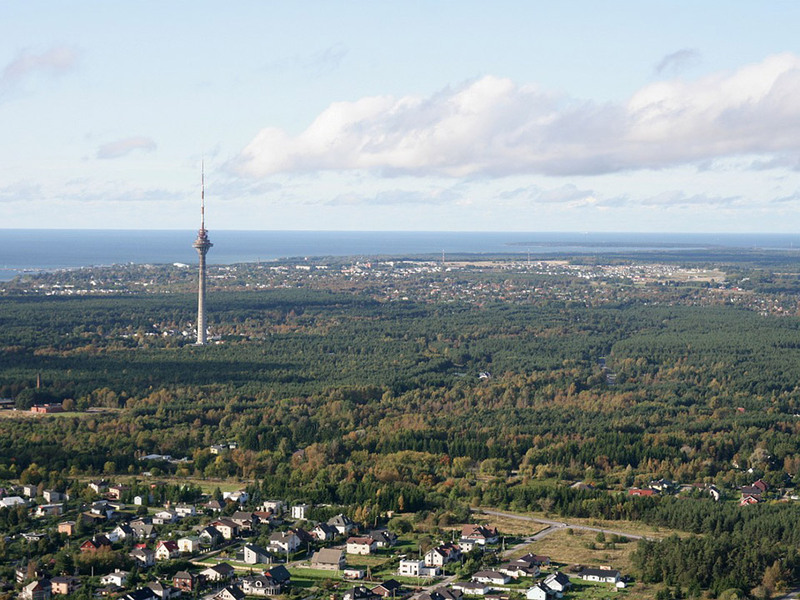 Situated in the forested suburb of Pirita, the lucky visitors who take the lift to the observation deck can take in whole of Tallinn by looking in one direction, then turn around to view the open expanse of the Baltic Sea, and then turn again to watch the Estonian plains disappear to the eastern horizon. And if the views aren't enough, the adventurous can take a free walk along the tower's lip, kept safe only by a guy rope. And if that isn't a good enough story to tell your friends back home, there's even an option to abseil down the tower - although remember to take a photo, because there's no way your friends will believe you! Of course the tower isn't only for adrenalin enthusiasts. In addition to the views and the thrills, guests can sample a range of dishes and beverages at the revolving restaurant. It's a great place to take friends, have a solo meal, or even for a memorable date! On a clear night, the views are even more spectacular than day views, but the tower closes at 10PM. Did you know that Estonia has more trees per person than any other country in Europe? After a trip to the Viru wetlands, this fact won't surprise you. Viru is in the centre of Estonia's Lahemaa National Park, a vast coastal wilderness area to the east of Tallinn. The whole park is a nature lover's paradise, but we had to pick a single attraction, so Viru it is. Even experienced wetlands explorers will find Viru unlike anywhere else they've seen. The bog teems with life - visitors can pick cloudberries and cranberries, watch majestic golden eagles and cranes, and even spot the occasional lynx or bear. Other than the walkways, the bog is untouched by human hands. It's easy to imagine oneself unimaginably far from the comforts of civilisation, and yet Tallinn is only half an hour away by car. 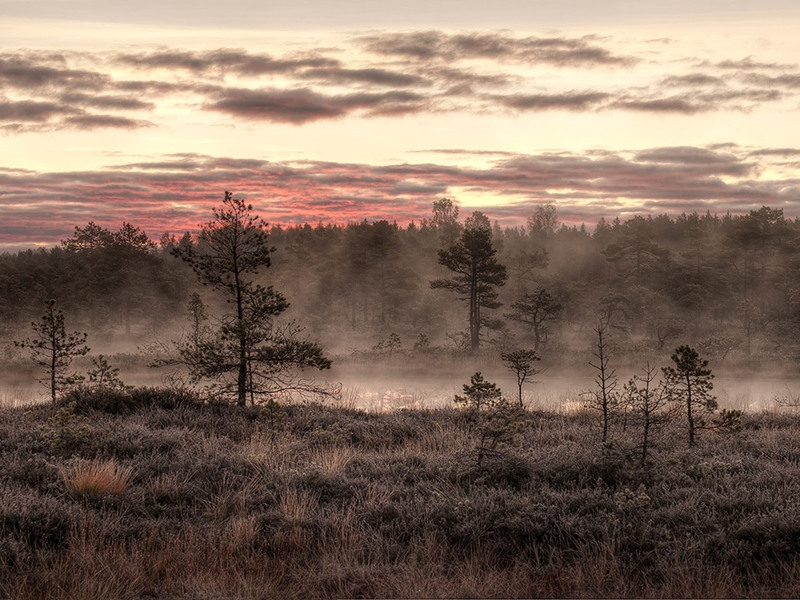 The bog is beautiful in the morning when it's often shrouded in mist and when the birds are most active. Tallinn has so many bars it's difficult to recommend any as the best. You can get lively conversation, high quality drinks and local music at dozens of places any night of the week. But if you only go to one bar in Tallin, make it Kolm Lõvi- 'Three Lions' in Estonian. The word 'authentic' is overused when talking about bars, but this is as authentic as it gets. You won't see fancy decorations, you won't hear top 40 hits over the sound system, you probably won't hear English spoken except when you're ordering. 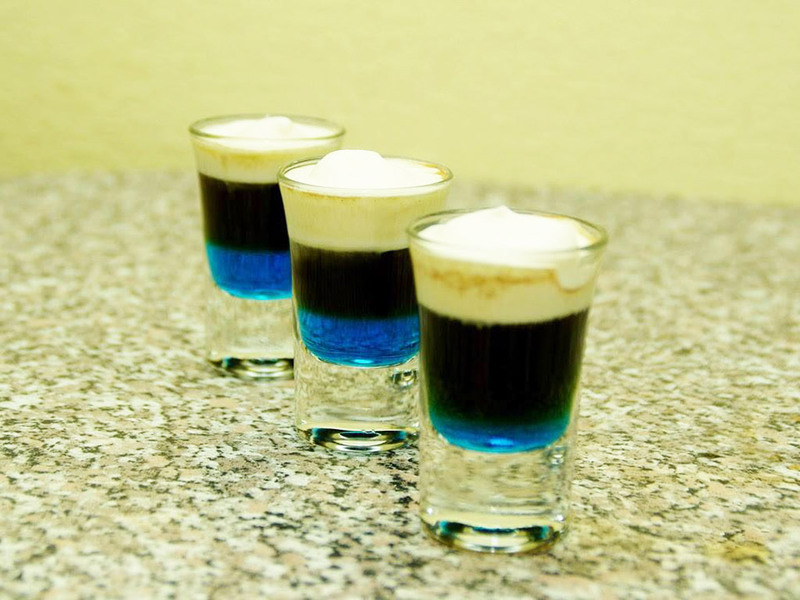 It's just good quality drinks, served by Estonians, for Estonians. Kolm Lõvi has been open for decades, unlike the bars you will visit in the Old Town, and very little has changed except that the drink prices are in Euros instead of rubles. Best Time to Visit: After 3AM, when most of the other pubs close. The whole of Tallinn's Old Town is worth a visit and the chances are that you will find yourself drawn to it whether you are a cruise ship visitor, a business traveller, a backpacker or anything in between. But just as the Old Town is the heart of Tallinn, Raekoja Plats ('town hall square' in Estonian) is the heart of the heart. 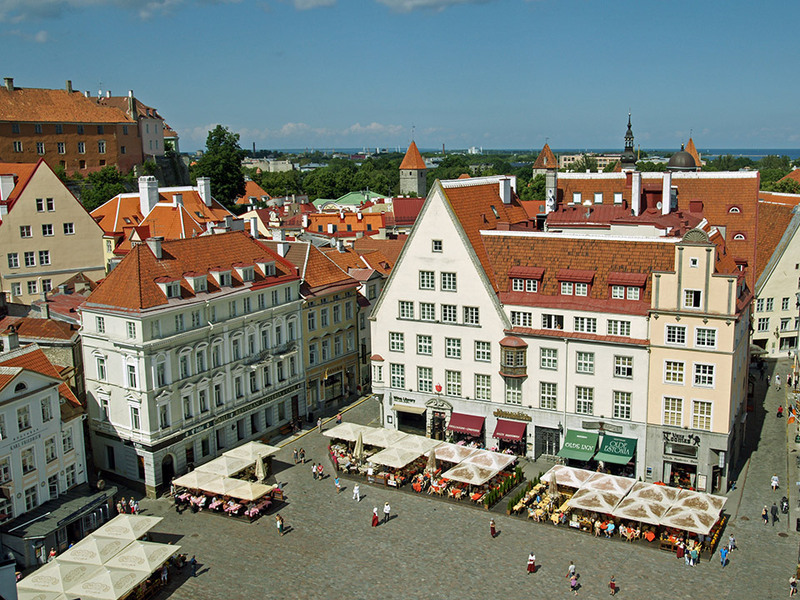 Bounded by Tallinn's medieval guild hall on one side, the square offers a range of bars, restaurants and curiosity shops too numerous to list here. Suffice to say that whatever you want to eat, drink or take home with you, you will be able to find it without stepping out of the square. And it's a great place to meet people, too. The square is beloved by locals as much as tourists - people come here to meet friends, to take dates, and even to sing and dance in public. Almost every holiday brings a celebration in the square, and if you're in town for more than a week it is almost guaranteed that some sort of festival or commemoration will occur. In addition to dancing and singing, the traditional medieval markets are often set up here, giving you a chance to sample handicrafts, traditional clothing, and of course the fruits of the age-old Estonian arts of mead making and mulled wine brewing. Christmas, when the old yule market is set up and a massive tree forms the centrepiece of the square. 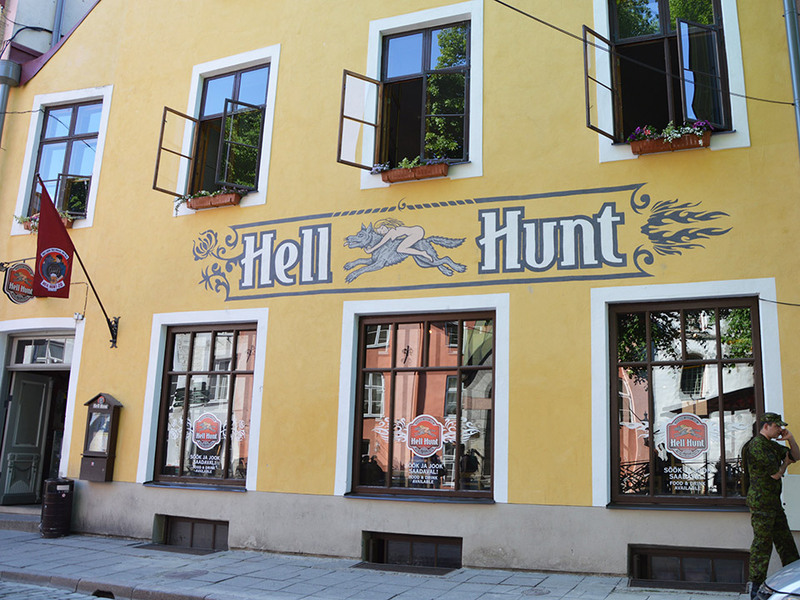 Hell Hunt is a great place to put your feet up and pass an hour or three, whether you've just arrived in Tallinn and need to catch a breather, are about to leave and want a memorable send off, or are in the middle of a trip and want to treat yourself. The food is great, mixing traditional Estonian fare like black bread and salted herrings with contemporary modern cuisine. Their teryiaki salmon is to die for, but you'll probably want to sample everything on the menu. Their range of beers includes local favourites, Estonian and international microbrews, and imported ales from around Europe. And let's not forget the spirits for those who are feeling adventurous. Don't let the name put you off. It means 'friendly wolf' in Estonian. And the staff certainly believe in the 'friendly' part. (The wolf part we'll leave to your imagination). Any time a sporting event is being played - watching the football in Hell Hunt is a great way to make friends over some brilliant food. If you've read this far you'll know that for a small country Estonian has a rich, deep and sometimes tragic history. So why not experience it for yourself? The History Museum isn't like other museums you might have visited. Sure, there are plenty of displays showing old swords and coins - and don't get me wrong, those are pretty interesting. But this is a place for people who want to try and live a little bit of history. Interactive games and activities let you live the life of a Soviet-era dissident or a Hanseatic merchant. You can dress as a Danish knight and learn how to prime and fire an AK-47. 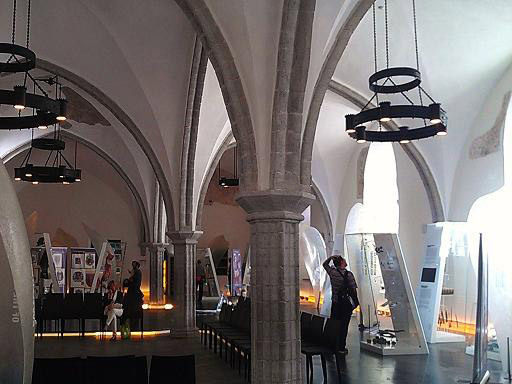 This is a museum with a difference, and you'll see it as soon as you step in - the "living history video wall" will let you watch the whole of Estonian history from the primordial ooze to the present day through the eyes of priests, politicians, ghosts, and even a frog! In line with this spirit, you'll find that even the building itself has its own history - it was once the home of the Tallinn merchant's guild, the centre of the medieval city. The last Thursday of every month, when tickets are free.